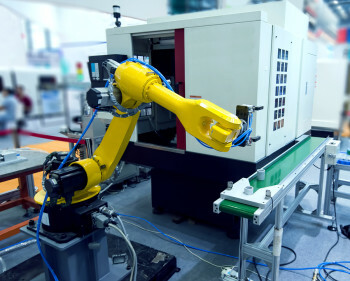 What will the manufacturing landscape of tomorrow look like? Will human workers be replaced by robots? Will 3D printing become the dominant production technology? Will all of our sugary treats be manufactured in Mexico? Whatever the case, Industry 4.0—the catchall term for the trend toward automation and big data in manufacturing—is coming, and manufacturers the world over are doing their best to prepare. At this year’s IMTS, leaders from Taiwan’s machine tool industry plan to unveil a series of smart manufacturing initiatives during a press conference to illustrate part of the county’s overall efforts toward Industry 4.0. Presenters will include representatives from the Taiwan Association of Machinery Industry (TAMI), the Industrial Technology Research Institute (ITRI), the e-Manufacturing Research Center at National Cheng Kung University and Taiwanese machinery manufacturers, including Fair Friend Group, Luren Precision and Tongtai Group. 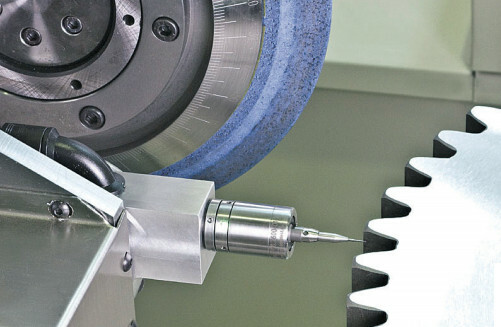 These initiatives are intended for applications including aircraft component machining, automotive part production, gear grinding and finishing, automation and more. Specific details are sparse, but the five topics to be covered in the press conference offer hints at how Industry 4.0 will impact machine tools. Cooperation between academics, industry professionals and researchers will be vital to ensuring that manufacturers are on the cutting-edge of new technologies. For this reason, the presenters will discuss their plans for collaboration among Taiwanese educational institutions, research institutes and machinery companies in an effort to advance the country’s smart machine and manufacturing capabilities. One of the largest impacts big data will likely have in manufacturing is in quality assurance. The ability to leverage huge amounts of information about a product and the processes used in its manufacture could revolutionize the quality profession. To that end, the presenters will discuss plans for an automatic virtual metrology (AVM) real-time, online inspection system. The AVM system is intended to eliminate the delays of offline sampling inspection and advance one of manufacturing’s ultimate goals: zero defects. Futurology predictions aside, manufacturing professionals are not going to wake up one day to find themselves replaced by robots. Many machining processes will continue to require immediate human input for years to come. That’s why the presenters will emphasize gear grinding and finishing machines that generate NC code automatically after data input. This will enable technicians to change input data settings via Teamviewer or Skype. These improve HMIs can also accommodate automatic loading and unloading via robot (but don’t read too much into that). Advancements in specific aspects of manufacturing, such as quality assurance or human-machine interfaces, are certainly an important part of Industry 4.0. However, the key idea behind the Industry 4.0 concept is the integration of all the various aspects of manufacturing into so-called “factories of the future.” At the IMTS press conference, leaders in Taiwan’s machine tool industry will highlight their plans for new production lines that will include integrated robot control, real-time remote monitoring, quality traceability and more. It’s only natural that the leaders of Taiwan’s machine tool industry would announce new machine tools, in addition to these other four initiatives. The presenters will showcase new 5-axis horizontal machining centers that are reportedly 20 percent more productive and 20 percent more cost-effective for manufacturing aerospace engine casings compared with previous generations. The press conference “New Initiatives in the Taiwan Machine Tool Industry” will take place on Wednesday, September 14 in the South Building – Level 4, Conference Room S402-A. For more information, visit the IMTS website.